The Australia Pacific LNG project’s first shipment marks Australia’s arrival as an LNG global superpower, on track to become the world’s biggest exporter of the cleaner energy source in 2018. It also means Queensland now has three operating LNG projects. The LNG tanker carrying natural gas to Asian markets departed Curtis Island over the weekend. 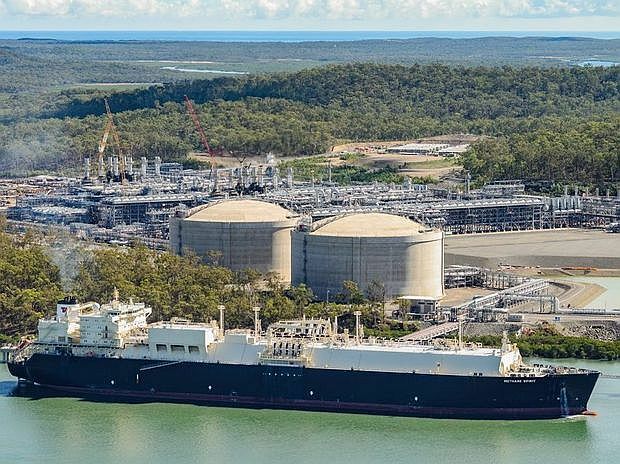 “Australia Pacific LNG is to be congratulated on completing a world-class facility that will make a mighty contribution to Queensland’s economy for decades to come,” APPEA CEO Dr Malcolm Roberts said. “This visionary infrastructure project, which created 15,000 jobs at its peak, is the third completed in Queensland in 12 months to meet Asia’s growing demand for clean and reliable energy. “The growth dividend for Queensland is huge and long-term. At full capacity Australia Pacific LNG’s two-train production facility will supply nine million tonnes per annum of LNG to export markets. In 2014-15, Australia shipped 25 million tonnes of LNG cargoes, earning $16.9 billion in export revenue. By 2019-20 when all seven LNG projects developed in recent years are fully operational, there will be a projected combined export volume of just over 76 million tonnes. The latest national accounts figures show the stronger-than-forecast growth rate of 0.9 per cent was driven largely by resource exports and led by an 11.4 per cent increase in oil and gas production.